Autumn Pepper has performed eclectic styles for many diverse audiences. From Associate Concertmaster of the Longmont Symphony, to playing with Josh Groban, Ms. Pepper continuously seeks new performance opportunities and adventures. 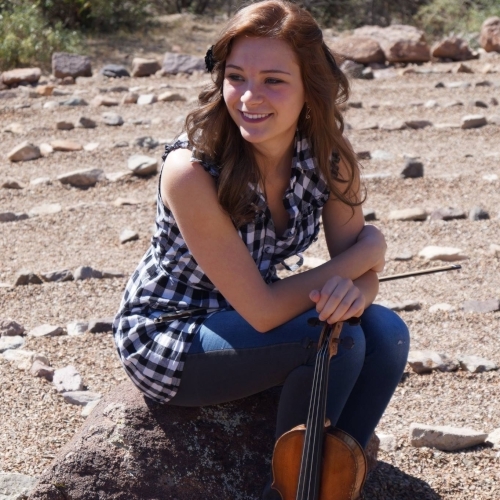 Currently completing her Master's degree in Violin Performance and Pedagogy from the University of Colorado, Boulder, she has enjoyed working closely with the world-renowned Takacs Quartet. She has participated in numerous festivals including Icicle Creek, Domaine Forget, Castleman Quartet Program, and Green Mountain Chamber Music Festival. Her undergraduate studies included a minor in International Studies from the University of Denver which took her to study in New Zealand. As a passionate educator, Ms. Pepper maintains two private studios, and leads an afterschool program at a local public elementary school partnered with the Denver Young Artists Orchestra. She has also served on the counsel for the Aurora Music Teachers Association, has workshopped with Boulder Suzuki Strings, and counseled at both the Lamont Summer Academy and the Summer Music Academy at CU Boulder. Ms. Pepper feels equally at home on stage and in the private studio.